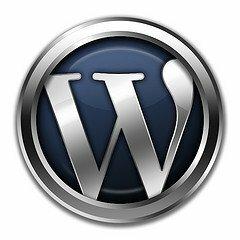 WordPress offers the flexibility of customizing the current themes to your preferences. You can decide on the functionality, features and look & feel of the themes you are using. All this is possible, by adding codes in the template file available for each theme, called “functions.php”. For customizing the look & feel, you will need to edit “style.css”, here’s the tutorial: How to edit style.css in WordPress. Functions.php is a theme file offered by WordPress to provide theme functions. You can customize any WordPress theme by adding the required php codes to this file. It offers you the flexibility of adding favicon to your weblog, posting thumbnail images, customizing dashboard logo, enabling threaded comments, customizing footer area and so on. You can access and edit the functions.php either by using a ftp client or simply through WordPress. Start the FTP client, select “Tools > FireFTP ” (Firefox addon to serve as an FTP client). Click “Connect” and provide the credentials (username and password) to connect to your FTP server (the host). 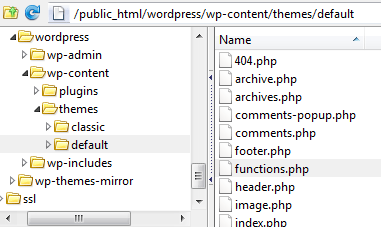 [WordPress Root] > wp-content > Themes > [current_theme] > functions.php. Download the file and edit the file with the editor of your choice (by adding the required code). Upload the file to update the theme with changes made to the file. Log in or sign in WordPress as administrator. Select “Appearance > Editor” from the sidebar. In the editor, select the theme which you want to edit from “Select theme to edit” drop-down menu. Locate and double-click “Themes Functions (functions.php)” under “Theme Files”, “Templates” section. Make the desired changes to the file and click “Update File” to reflect the changes made to the file. Always back-up functions.php before making changes; the back-up file comes in handy for restoring the default file in case WordPress goes crazy. there is no EDIT function on the appearance tab. is this what i should do? I’m using WordPress 3.0.1 and there’s a menu item “Editor” under the “Appearance” menu. There is no ‘Editor’ option under Appearance, is this for wordpress.com or the wordpress.org version? Thanks – couldn’t find how to do this on WP’s own website. I wanted to ask you like Amanda, There is no ‘Editor’ option under Appearance, is this for wordpress.com or the wordpress.org version? Could you tell me please what is the solution of wordpress.com version ? Thank you. Thank you. Thank you. I have searching for this info ALL DAY!!! I have wordpress.com and like the others have said, there is no Appearance > Editor. No where. I’ve been looking/searching for half an hour and and have come to conclusion it’s that way on .org but not .com. Can you help me find it on the .com? I appreciate any help you can offer. Yes, it’s difficult to customize your theme on wordpress.com. Why don’t you invest in having your own site? Should be around $400 for the same features with the customizations. And you have all the SEO power in the world and the flexibility to do what you want to do with your website. Wow, thanks for such a fast reply. I just read on the .com help area that you have no access to the php files with .com like you do with .org so that’s why I couldn’t find it. Blech. I might work my way to my own site, I’ve had my own for years but it isn’t great for blogs and is less user friendly, and support is spotty at best, and it’s a whole lot cheaper than $400… I just fell in love with one of the WordPress templates and pretty much cut and pasted everything from my site over to the free wordpress.com site. i Paid to transfer my domain but am still paying for my website so I can keep my email address the same. I know there are better solutions I just haven’t had the time to look them up. My main goals are to keep by email address and domain, and keep the wordpress template. OK I’m rambling, sorry. Thanks for the fast help and encouragement to go my own way. In Amanda, There is no ‘Editor’ option under Appearance.